Weight Watchers becomes WW, but what does it mean? 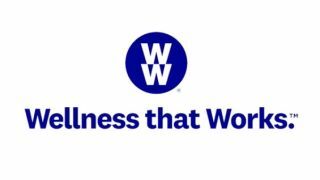 Yesterday the leading name in the weight loss industry, Weight Watchers, revealed a slimmed down rebrand and new logo design that sees its name change to WW. But with the new initials not standing for Weight Watchers or the rebrand's slogan 'Wellness the Works', the revamp has left members and designers confused. The decision to trim back the identity to just WW comes as part of a shifting focus for the company. Instead of concentrating on weight, WW wants to expand its focus to include health and wellness. The company's chief executive Mindy Grossman explained that its new logo, which sees two letter 'W's stacked in a purple circle, is emblematic of this gear change. "That marque represents our heritage and history and what we are going forward." But what is that exactly? So far 2018 has been a good year for the company formerly known as Weight Watchers, with big name backers like Oprah seeing its share price surge. However the recent rebrand has left a bad taste with members and designers. Critics have also been keen to point out that the decision to drop the word 'weight' could be to do with a backlash surrounding the word that was sparked by the controversial #wakeupweightwatchers campaign that targeted teenagers. On top of this, the name WW is not only awkward to pronounce, it's also confusingly close to WWF and WWE, two companies that already had to battle it out over who could lay claim to their preferred initialism. We also found that when said out loud, WW taps into the tongue's muscle memory, resulting in the urge to add 'W dot' at the end, or maybe that's just us. Carlsberg: probably the best rebrand in the world?